CHRISTO TOMY BEING AWARDED THE FIRST PRIZE OF RS. 25 LAKH FOR THE FIRST EDITION OF CINESTAAN INDIA'S STORYTELLERS SCRIPT CONTEST BY OUR JURY MEMBERS- AAMIR KHAN, JUHI CHATURVEDI AND ANJUM RAJABALI. Due to an overwhelming response we are currently evaluating the synopses received for Round 1. We will update the announcement date of Round 1 shortly on our website. The 5 winners shall get a chance to pitch directly to Studios/Production Houses. They shall be awarded by the Jury at an event in Mumbai. Access to a unique platform to take your script to screen. A chance to meet decision makers of the industry and possibly get your film funded. Rohit Khattar, Juhi Chaturvedi, Anjum Rajabali and Aamir Khan award Christo Tomy with the first prize. All 5 winners of the first edition - [From left to right] Christo Tomy, Sagar Pandya, Rajdweep, Biplab Goswami and Satyen Bordoloi. First Runner Up - Biplab Goswami at the pitch session. Best Script Winner - Christo Tomy, at the pitch session. The Second Runner Up, Satyen Bordoloi, narrates his story to the studio executives at the pitch session. Actress- Producer Tisca Chopra attended the award ceremony of first edition of Script contest. Aamir Khan arrives at the event. Aamir Khan, Anjum Rajabali and Juhi Chaturvedi gather before the winner&apos;s announcement. Aamir Khan speaking at the award ceromony. Anjum Rajabali, Juhi Chaturvedi and Aamir Khan on stage to present the award. Anjum Rajabali introduces the 5 finalists and their scripts. Sagar Pandya being awarded as fourth runner up for his Story &apos;Sniper&apos;. Aamir Khan awards Rajdweep third runner up for his story &apos;Ishqology&apos;. Satyen Bordoloi has been named second runner up for his script &apos;Who will marry Thomas?&apos;. Juhi Chaturvedi congratulates 1st runner up for his script &apos;Two brides&apos;. Christo Tomy wins first prize of Rs. 25 lakh for his story &apos;The Funeral&apos;. Christo Tomy, winner of the First Edition, speaking after receiving the award. Aamir Khan's message for aspiring writers across India. Jury's Message for Aspiring Participants. Anjum Rajabali speaks on the transparent process of the Cinestaan script contest. 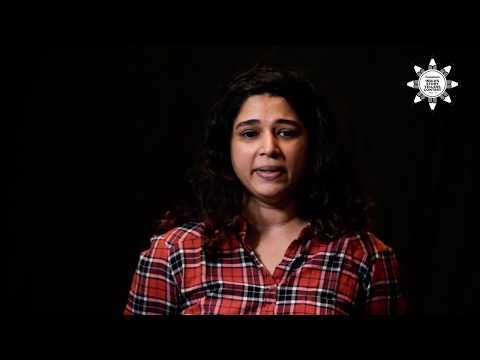 Participants from 1st Edition of Cinestaan India's Storytellers Contest Speak. 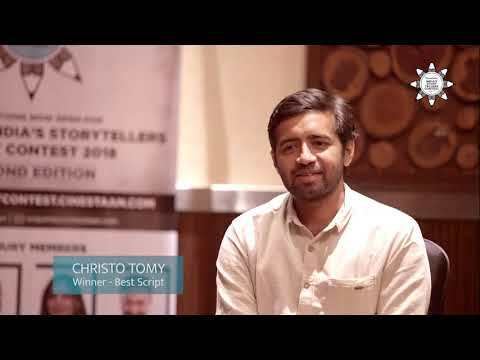 Christo Tomy, winner of the first edition of Cinestaan India's Storytellers Script Contest. 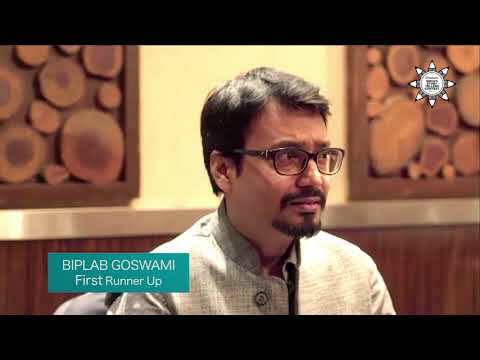 Biplab Goswami, 1st runner-up at the first Cinestaan India's Storytellers Contest. 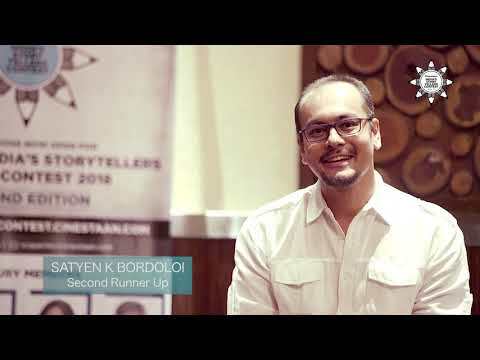 Satyen Bordoloi, 2nd runner-up at the 1st edition of the Cinestaan India's Storytellers Contest. 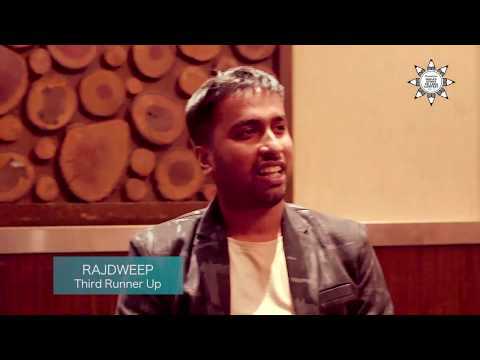 Rajdweep, 3rd runner-up at the Cinestaan India's Storytellers Contest. Sagar Pandya, 4th runner-up at the Cinestaan India's Storytellers Contest. India's Biggest Script Contest Is Back! EVERYONE HAS A STORY, WHAT IS YOURS? After the stupendous success of the inaugural edition of our screenwriting contest, we are proud to present the second edition of Cinestaan India's scriptwriting contest. An incredible opportunity for storytellers to showcase their imagination and craft, the contest enables writers to realise their dream of seeing their stories on screen by pitching their ideas to Production Houses and Film Studios. For any contest related queries, please reach out to us at scqueries@cinestaan.com. Telephone calls shall unfortunately not be entertained.